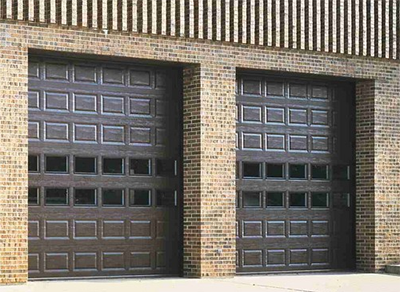 Our sectional steel door feature light ribbed or elegant panel designs that are strong, durable and versatile. Made with galvanized steel these doors are designed for heavy-duty commercial and industrial applications. Our doors are available in sizes up to 24 foot in width and 20’ feet in height for a variety of commercial applications with many options available to suit your needs. These doors also have wind code versions available for those who are required to meet specific wind rated certifications. 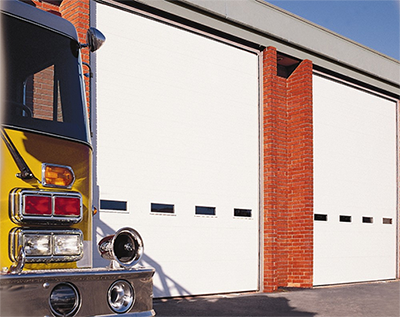 Our non-insulated sectional steel door models are a high-quality, heavy-duty door that provides protection against all temperature environments. 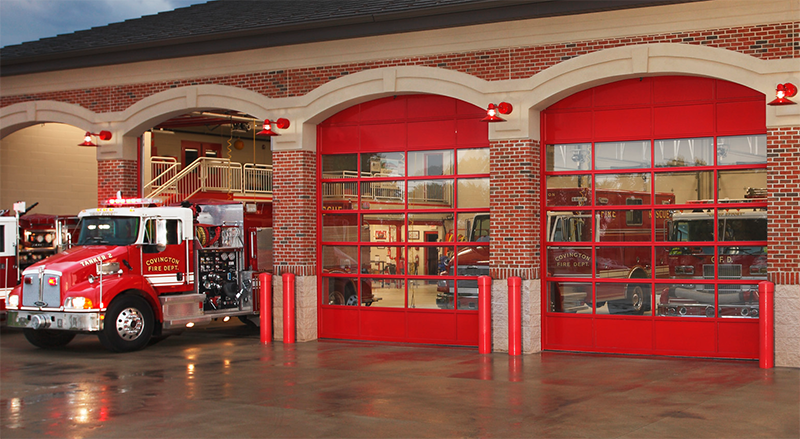 Constructed with 24 or 25 gauge galvanized steel, these doors have a commercial ribbed exterior. Our insulated sectional steel door model is a high-quality, heavy-duty door that provides protection against all temperature environments. Constructed with galvanized steel, these doors can have a ribbed or elegant panel exterior. These doors offer R values from 6.6-18.4 depending on the model. A wide array of options available on any of our doors will meet the most stringent project requirements that call for a degree of thermal efficiency. Glazing choices include DSB glass, tempered glass, insulated glass, clear lexan, clear acrylic, or wire glass. Full-section or individual-panel glazing satisfies requirements for external light and visitor identification, as well as being a finishing touch for architectural beauty. Window inserts in some of the same options are also available for cost affective lighting and visibility. Electric and chain hoist operation both available. With the ability to upgrade to wind code doors, superior panel strength and well-engineered track can be set up to meet many wind load requirements and codes.